In a week the Warriors dominated without Kevin Durant, the Bucks suffered an injury that puts a big dent in their NBA championship dreams. And, the Lakers are still terrible. People talk about Kevin Durant’s potential departure from the Warriors next season as the move that will make the NBA competitive again. Those people might be in for a shock if KD does leave. While the Warriors wouldn’t maintain their current $1.45 odds to win the championship, they’d still be favourites. Steph Curry is still somehow underrated despite providing us with regular glimpses of his greatness. His 33 points against the Thunder with Durant sat in the stands reignited the debate over who is the more important player. Injury has ruled him out as a player in the MVP market ($71), but as long as he’s healthy, the Warriors are the best team in the league. Pelicans backers were ready to claim their win and pay for dinner on Sunday night. That was before one of the worst endings to a game you’ll see all season. Up three points, with the ball, and eight seconds on the clock, the Pelicans looked home and hosed. First it was a five-second violation. Then the Pelicans somehow didn’t foul to allow the Suns to level the game. And to cap it off, they called for a timeout that didn’t exist. As a result, Devin Booker was allowed to shoot technical free throws with 1.1 seconds left to seal the win. For Pelicans head-to-head punters, and even those at the -4.5 line that appeared destined to be covered, it’s a bad beat they won’t forget. A minor plantar fascia tear has ruled Bucks guard Malcolm Brogdon out for 6-8 weeks. 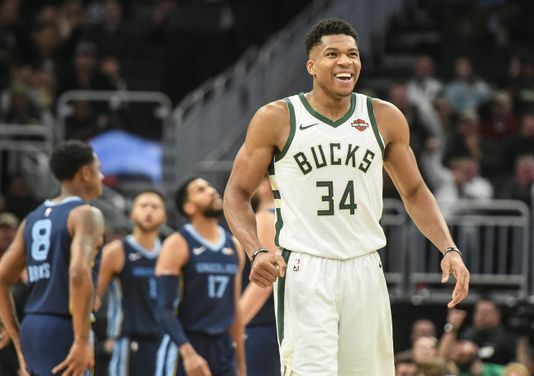 He’s not a household name, but he’s a massive part of the Bucks and their NBA-leading 52-17 record. Six weeks will put Malcolm Brogdon our through the first round of the playoffs. Eight weeks means he’s out through most, if not all, of the second round too. That would be a major loss for the Bucks. Brogdon will finish a very good individual regular season as a 50/40/90 guy. Doing a bit of everything, and doing everything well, Brogdon is a significant loss. Milwaukee’s $11 price to win the championship now has an extra question mark around it. The Bucks would play the Heat in the playoffs if the post-season started today. A first-round matchup they should win regardless of Brogdon’s availability. But if he’s not back for the second round or fully fit for the conference finals, this injury could turn out to be costly. Avoiding the Bucks until he returns, the Raptors at $10 or the Celtics at $17 might be better options. The Lakers continue to be a nightmare for NBA fans and punters. They’ve covered the spread just once in their last 12 games. A straight up loss to the Knicks as -5 favourites is surely enough to turn people away for the rest of the season. Stick to the Lakers’ same-city rivals instead. The Clippers have covered seven of their last nine.